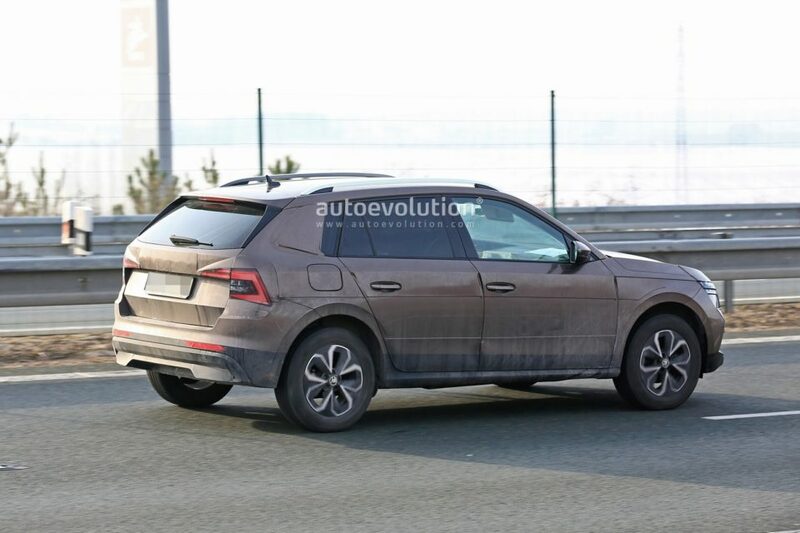 Skoda will reveal the all-new Kamiq SUV at the Geneva Motor Show officially, but before that, a set of spy pictures reveal all about the upcoming SUVs. 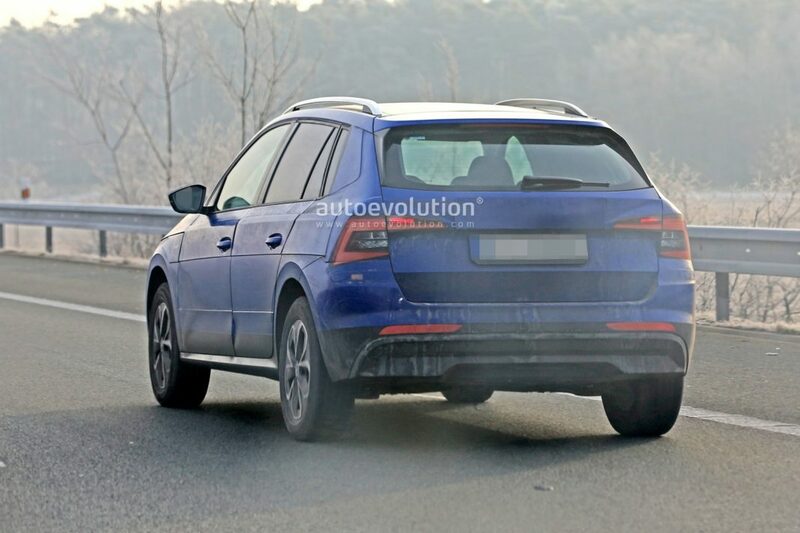 The new set of spy pictures show the SUV with minimal camouflage that has been used to hide the logos of the upcoming SUV. The Vision X-Concept inspires Skoda Kamiq. 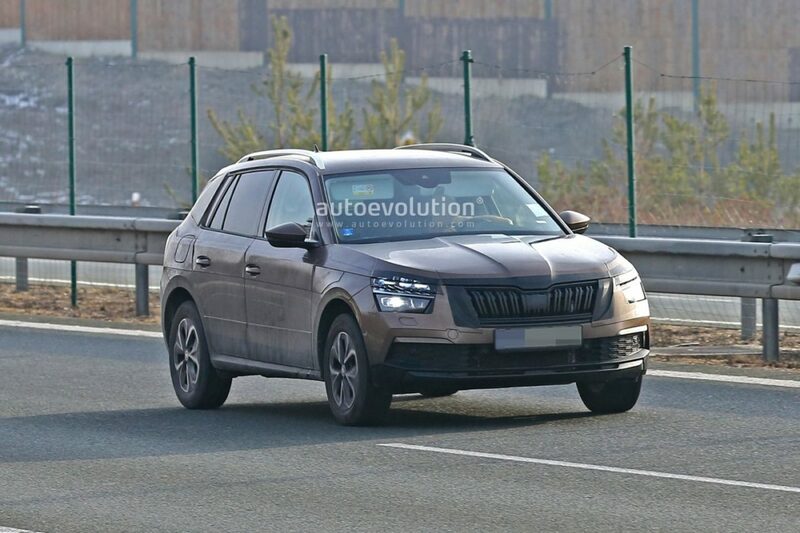 Earlier Skoda revealed a teaser image of the front that shows the separate housing for the DRLs and the headlamps. The new image completely reveals that design element. The all-new Skoda Kamiq gets Skoda’s latest family design with a matte black grille in the middle. The headlamps are sleek and are all-LED. It receives an aggressive looking front bumper with underbody spoiler too. The new petal designed alloy wheels can also be seen on the all-new Kamiq. The design of the side remains quite simple and sophisticated. At the rear, the all-new Skoda Kamiq gets a sharp set of tail lamps. The sleek, angular split tail lamps gather a lot of attention. The lower of the bumper gets a black insert that makes the SUV look utilitarian. Skoda officially revealed the dashboard of the Kamiq a few days back through a picture. The Skoda Kamiq gets an excellent looking, modern-age dashboard with sharp lines and angles on it. Even the air-vents are designed to be sleek. It receives a floating type touchscreen infotainment system that measures 9.2-inches in size. It gets all the modern connectivity solutions like the Apple CarPlay and Android Auto. The Skoda Kamiq also gets a segment-first 10.25 virtual cockpit instrument cluster that is available with high-end Audi cars. It also gets features like ambient lighting, heated steering wheel, heated seats and more. The all-new Skoda Kamiq is based on the Volkswagen Group’s MQB-A0 platform. The same platform will underpin a lot of future cars from the Volkswagen Group in India. The Kamiq is expected to be launched in the Indian market next year to take on the likes Hyundai Creta and Tata Harrier. Skoda has not revealed the engine details of the Kamiq, but the Indian version is likely to be powered by 1.5-litre petrol and a 1.5-litre diesel engine unit.